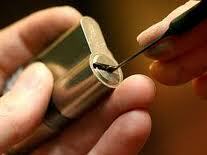 Our car locksmith in Chestermere, Alberta, specializes in ignitions, vehicle keys and their services. We are mobile technicians in a local company and can help you quickly 24/7. Call us if you can’t put the key in the ignition. Send us a message if you hear a funny sound from the ignition every time you turn the key. Is the ignition key stuck? Is it broken? Whatever the problem with the ignition vehicle key is, trust its repair to us. 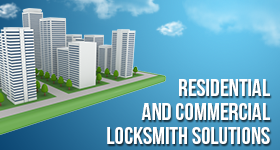 At our Locksmith in Chestermere AB, we guarantee expertly done work and respond 24/7 to your urgent needs. Don’t hesitate to share your concerns with us and ask our assistance if you need ignition repair or ignition key change in Chestermere. A problematic ignition switch won’t allow you to drive your car. A broken mechanism will keep you from even inserting the key. If your ignition keys get stuck, call our company in Chestermere AB. If you suspect any problem with your car ignition, contact us. Although ignition switches are not damaged easily, dirt and dust might take their toll on them overtime. If you insist on pushing a key in the ignition but turns out to be the wrong one, you might cause damage. When the ignition is not fixed, we can replace it. In this case, we will also have to make a new ignition key replacement. Your ignition only works with your key. So the new key must be cut with precision. Our company owns the equipment to make ignition key change accurately. We cut and test the key. Our technicians can simply change the ignition switch but if the problem is with the ignition’s cylinder, we have to replace the lock mechanism. This is when we need to change the ignition key too. We are committed to having an automotive key made with accuracy. The repair parts we use for the replacement of the ignition switch and mechanism are the best in Alberta. The job is performed as soon as possible by our 24 hour qualified technicians. Ask our help when you need Chestermere ignition key change or any help with the ignition.